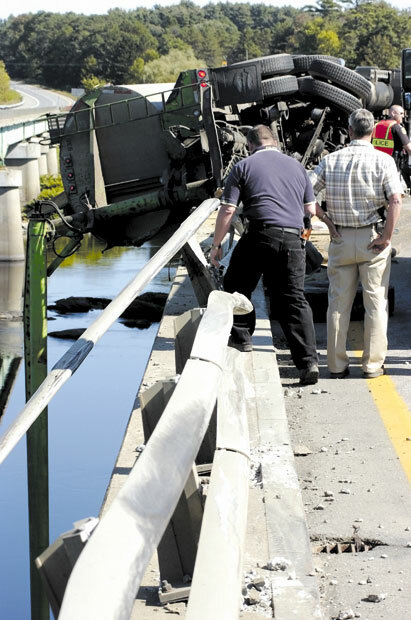 Rollovers are common, but not so much on bridges. This driver was lucky. Emergency officials inspect the scene of an overturned tractor-trailer that was heading north on Interstate 95 just north of Exit 133 Tuesday afternoon.